As busy and hectic as life can get, fitting in time to exercise can become quite a challenge. But thanks to machines like the FitDesk v2.0 Desk Exercise Bike with Massage Bar, you can multitask your way to good health and even shed some pounds while you’re at it. This exercise bike comes with a desk area that lets you continue to work on whatever project you need to complete while you’re exercising. This desk is adjustable and won’t let your items fall off, thanks to the non-slip surface. Plus, it has support for laptops as well as a storage area for items you’ll want with you during your workout. And when you get finished with your workload, the desk can support your laptop or tablet while you browse online. When you’re done with your laptop, you can exchange it for the latest novel that you’ve been wanting to read but haven’t had time. 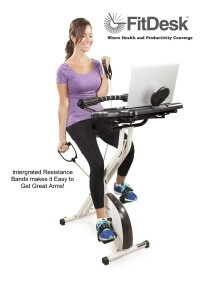 With the massage rollers for your forearms to rest on, you can be comfortable while working out and typing. This armrest is padded as well as adjustable. You’ll be able to exercise and type without stretching so far that you have to strain yourself. 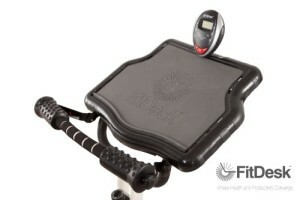 The seat on the FitDesk is a beach cruiser style – meaning that it’s comfortable to use for extended periods of time. Plus, you can adjust the seatback to fit your position, which makes it great for using if you want to pedal while sitting straight or relaxed. The bike also has a 4” extender, which ensures a right fit whether you’re short or tall. With eight different levels to choose from, the FitDesk v2.0 Desk Exercise Bike offers resistance pedaling, which means that you get a tougher exercise routine that also tones your muscles while you’re moving. And the bike doesn’t just focus on the lower body while ignoring the upper body. 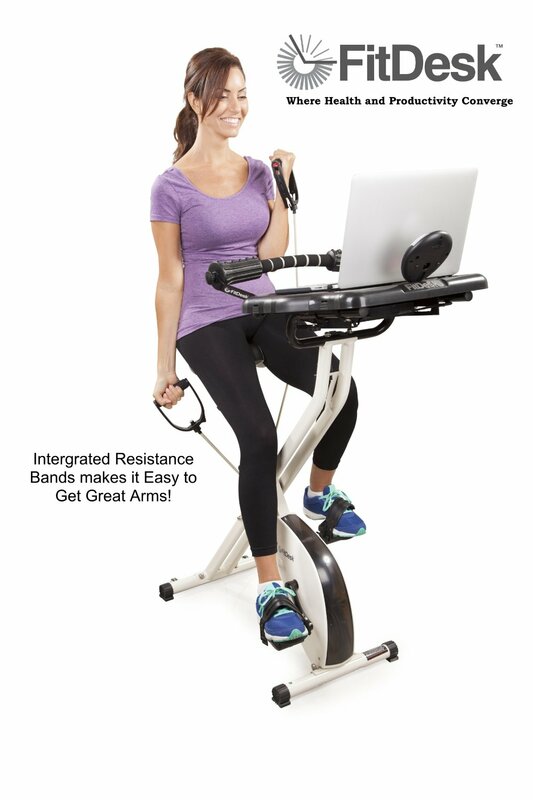 The bike comes with resistance bands so that you can also work out your upper body at the same time. With a maximum weight usage of 250 pounds, the FitDesk has a solid steel frame and a gear box that contains materials made of steel (rather than cheap plastic) for long-lasting durability. And you won’t have to worry about belt whine, thanks to twin belts accompanied with the flywheel. This means that you won’t get that shaking feeling that you can get with lower quality exercise bikes. Another cool feature is that the FitDesk v2.0 Desk Exercise Bike with Massage Bar has a folding frame, which means that you can move it or store it out of sight with ease. 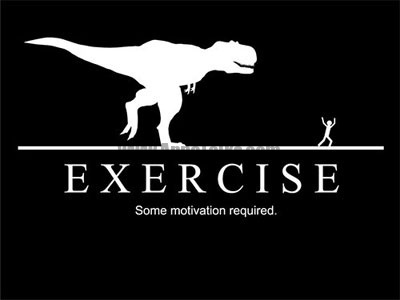 Now can you really come up with an excuse not to exercise?